Asparagus is really one of the best vegetables around, especially when it’s steamed or roasted. This side dish only takes a quick 10 minutes to throw together and it’s wonderful. 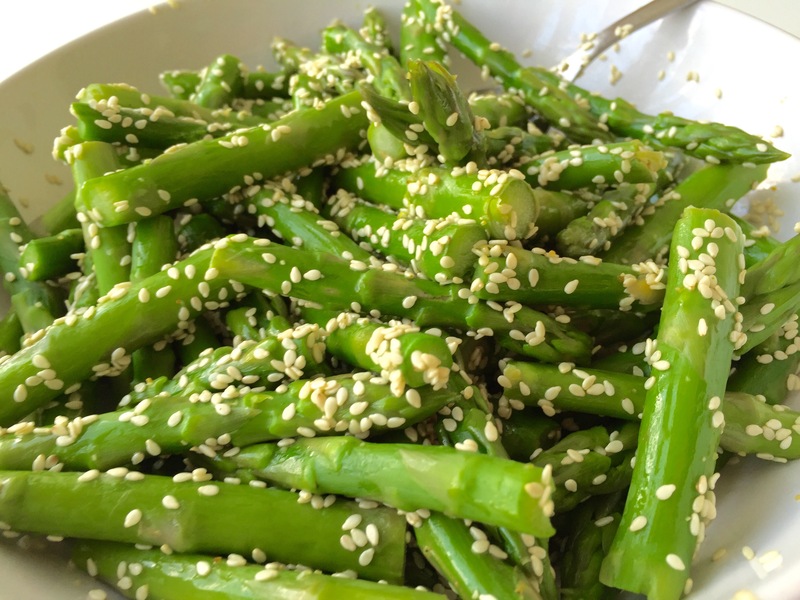 The asparagus is tossed with a tiny bit of sesame oil mixed with dried garlic powder and himalayan salt. Then to finish it off, toasted sesame seeds are sprinkled generously on to coat the outside and make for an incredible crunchy exterior.My family absolutely love this dish, and I’m sure yours will too! Cut the asparagus stems in half. Steam them for 10 minutes until tender but still slightly hard. Meanwhile, heat a small frying pan at high and add in the sesame seeds. Toast them for around 2 minutes. 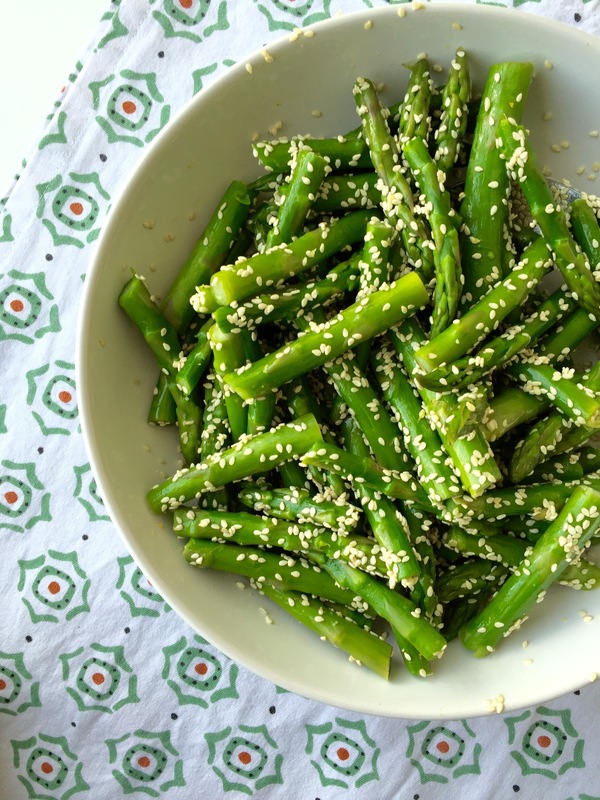 Toss the asparagus and sesame seeds into a bowl along with the rest of the ingredients and mix well. Serve and enjoy!